Friedhelm Drautzburg, originated from the Eiffel, is well known as owner of the Rhine cult tavern Ständige Vertretung (STAEV), which he runs in Berlin and Bonn with partner Harald Grunert. In his home region, he has had erected a few segments designed by Berlin artist Ben Wagin. Another location of STAEV by Drautzburg and Grunert was opened in October 2010, in Terminal 1 of Cologne/Bonn Airport. At the same time they donated a Wall segment, designed by Ben Wagin, to the Airport, that was erected next to their tavern. The Wall art by Wagin, a message from his Berlin’s Parliament of Tress, is also to be seen in Bonn, Bremen, Wittlich and Berlin. 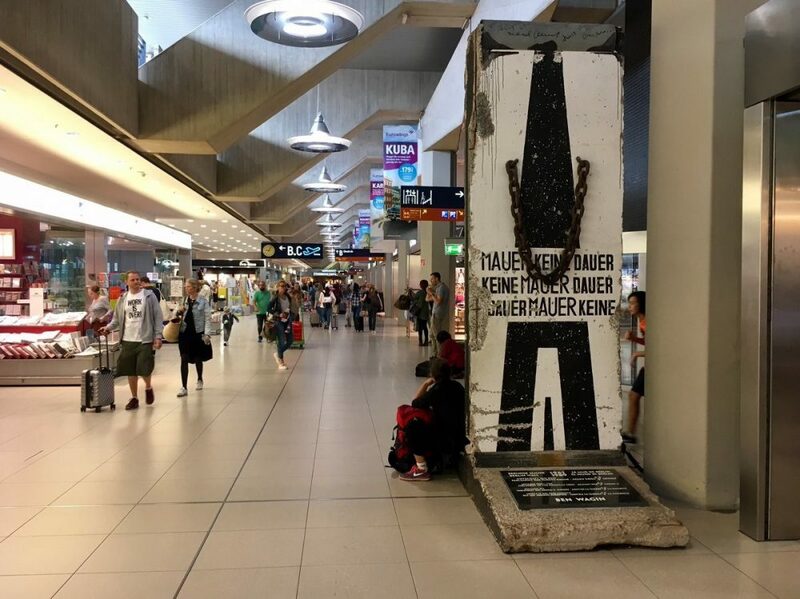 Cologne/Bonn Airport has about 1.3 million passengers a year flying to Berlin.